Enjoy a delicious full breakfast during your stay at Hotel Navarra. 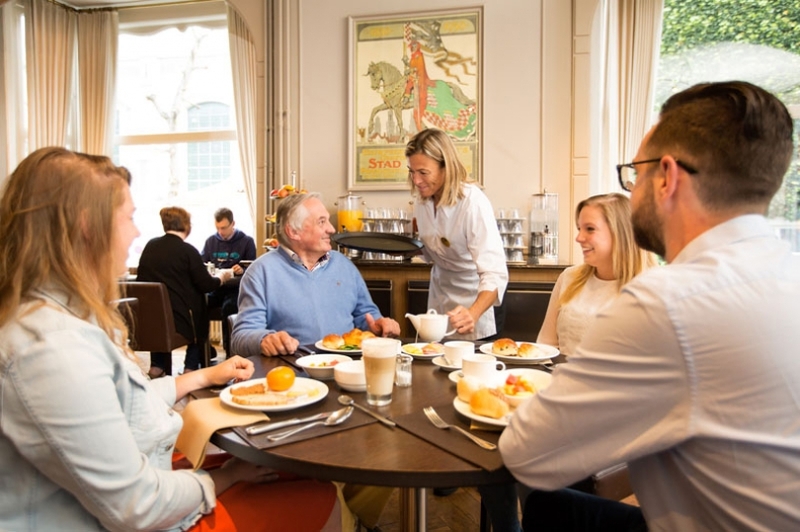 From the moment you sit down at your table in our pleasant breakfast room, our full breakfast range is there for you to enjoy. 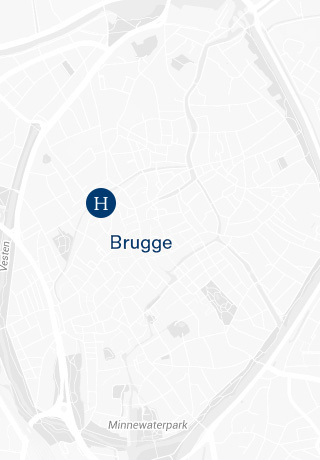 Give your body and mind the energy they need with our breakfast buffet to prepare for a great day in Bruges. After a good night’s rest, our breakfast hostesses will welcome you for a full breakfast. The breakfast buffet is open from 7 to 10.30am on weekdays and from 7.30 to 11am at weekends and on public holidays. 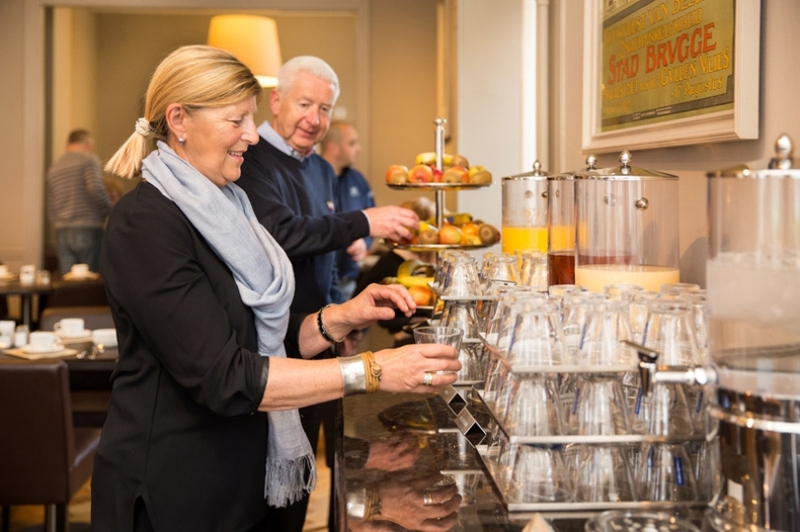 Our breakfast buffet offers a wide range of chilled drinks, such as water, various fruit juices and several types of milk. A delicious cup of steaming coffee, some fine tea with lemon or milk or some hot chocolate can be ordered and will be served to your table with a smile. Start your day with some natural yoghurt, fruit yoghurts or cottage cheese. 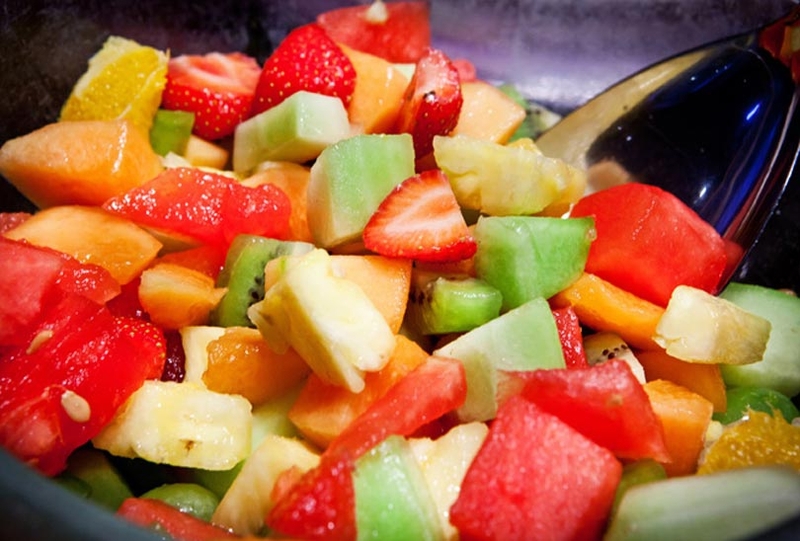 Perhaps you would like to add some fresh fruit or a fresh fruit salad? The breakfast buffet will also offer you a wide range of cereals, such as muesli, cornflakes, oatmeal and Rice Krispies. Fill a small bowl and enjoy! If your blissful night at the hotel has set you up for a hot breakfast, have some scrambled or boiled eggs with or without crispy bacon. If you are in need of a hearty breakfast, add some beans, mushrooms or sausages. They are all part of our full breakfast. 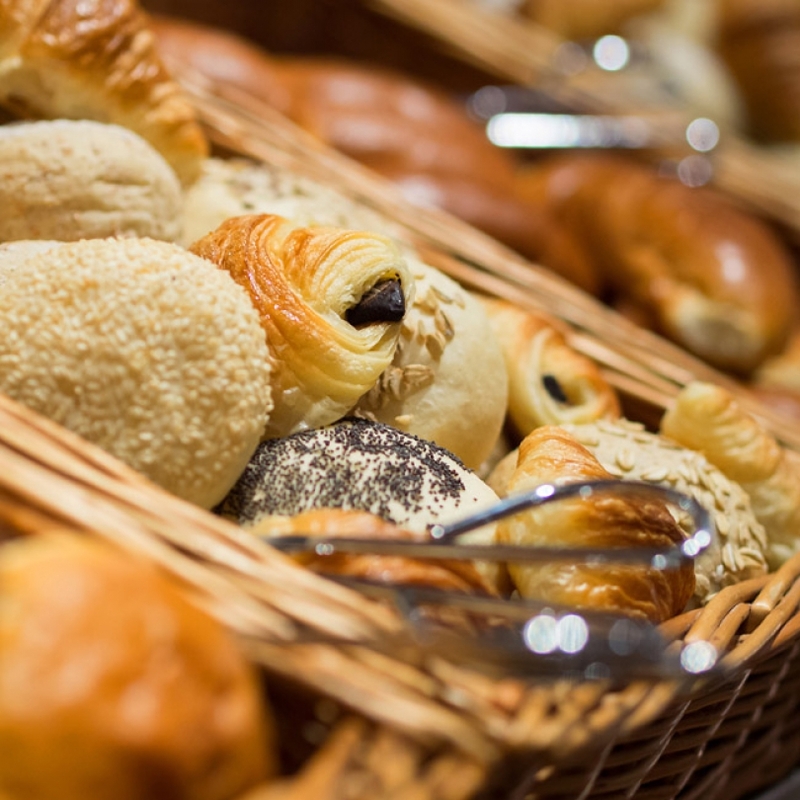 A gorgeous croissant with jam, some delicious Danish pastry or just a baguette slice with some cheese are all delicious for breakfast, so they are always on offer as part of our rich breakfast buffet. We also offer our guests a wide range of breads (baguette, rolls, toast, croissants, Danish pastry, wholemeal bread, ...). Of course you can also choose from a variety of fillings, such as artisanal jams, honey, chocolate spread or sprinkles, local and French cheeses, meats, butter and diet margarine. And why not add a slice of cucumber or juicy tomato? We have not forgotten about our guests with gluten intolerance. 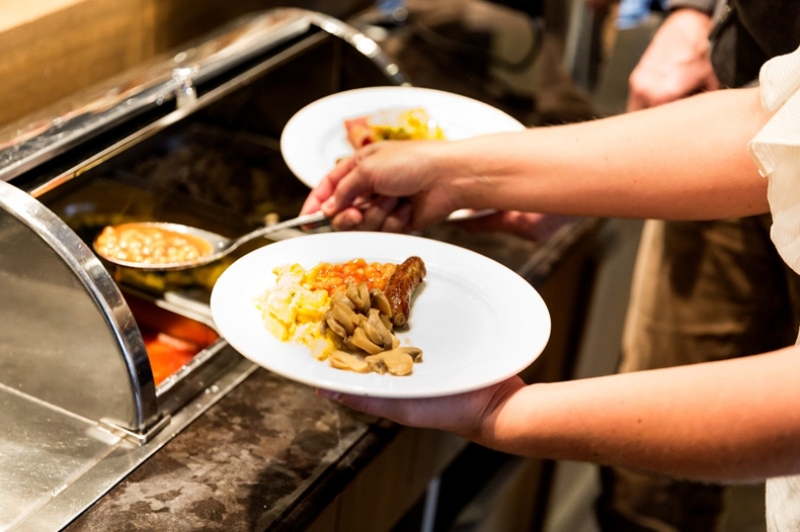 Our breakfast buffet offers a range of gluten-free products. 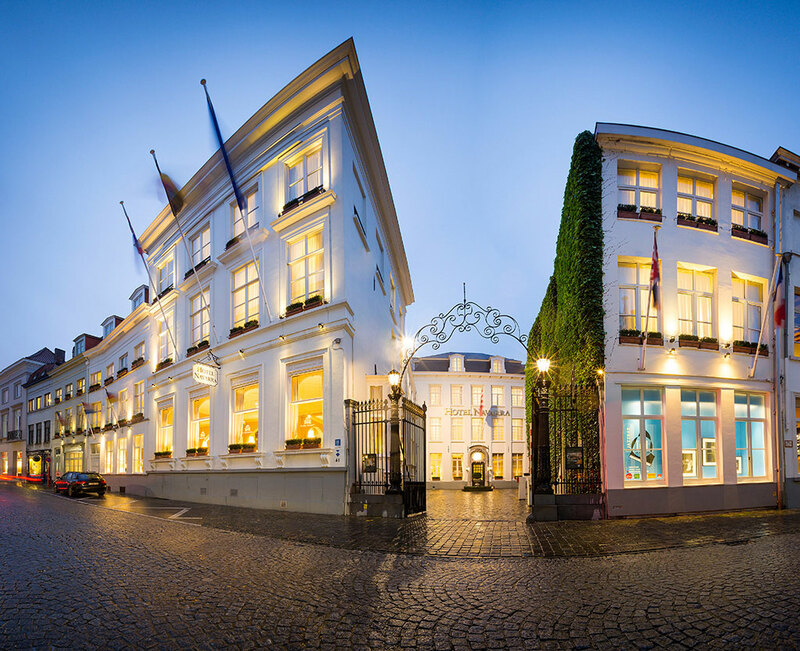 If you choose to have breakfast in Bruges during your stay at Hotel Navarra, you can either book your breakfast with your hotel reservation and pay only € 18.50 per person, or if you rather prefer to decide to have breakfast with us upon your arrival at the hotel, you pay € 20 per person. If you would like to have breakfast in your room, simply inform our front desk and your breakfast will be served for a €15 supplement.